One of the best things you can get out of technology is making your life easier by digitizing a huge chunk of your daily routine. Thanks to the smart devices that our phones have become today, we have gotten rid of a lot of stuff, like paper grocery lists, address books, pocket diaries and the like, replacing them with one intelligent device. However, there’s no limit to what you can imagine, right? So imagine if your phone was smart enough to perform various tasks for you on its own, without requiring you to perform actions like, say, triggering the text-to-speech engine through the device’s settings so that emails and messages can be read out load when you need your hands free. Having a smartphone that’s actually this smart would be cool, won’t it? For Android, automation is not an alien concept at all. For a long time now, apps like Tasker have been around, enabling users to automate almost every single aspect of their device on the basis of various parameters. Tasker is the absolute king when it comes to the Android automation arena, but there’s a catch; the app is rather expensive, and far too complicated for an average user to set and configure. In fact, the latter is such a big deal that there have been several Tasker alternatives in the Play Store that would focus more on ease of use as opposed to the list of features that they support. That list has just received a new addition, in the form of Atooma. What sets Atooma apart from the rest is the attention that the developers have paid to detail when designing the app. I used it for one full day, and fell instantly in love with the app. Why? For one, it’s dead simple to use, doing everything through a GUI that performs the back-end coding for you. Two, it is not anywhere close to being as feature laden as Tasker is, but guess what; the supported features are all those that should suffice for more than 95% of the total Android using population. Want your phone to determine on its own that you’re driving and read out loud all text messages and emails that are received during that time? No problem! Want to be notified on your mobile that a file has been uploaded to your Dropbox? We have you covered. Concerned about low battery and want the device to automatically silence itself when that’s the case? Atooma will let you do that, and much more. Atooma operates on a simple concept of IFs and DOs, where a certain conditional event (IF) triggers an action (DO) in response. So, you can set your phone to, for example, automatically post a pre-defined status to Facebook when a text message containing a specific word is received. With the number of combinations available in Atooma, you will have a virtually-endless series of possibilities that you can achieve. 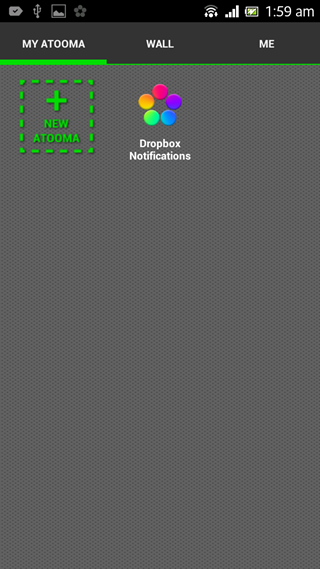 Atooma triggers include a good variety of events like headphone plugged in/out, Wi-Fi toggle, time of day, activity in Dropbox/Gmail etc., specific speed (calculated through GPS), device motion (shaking) and loads and loads others. Likewise, the list of possible actions (DOs) is pretty generous, too. Atooma pairs you up through the Google account on your Android phone, and believes in a community-based approach. Hence, the Atoomas that you create get shared on the “wall”, where other users can also make use of them. Vice versa, you can grab the ones created by other users, too. 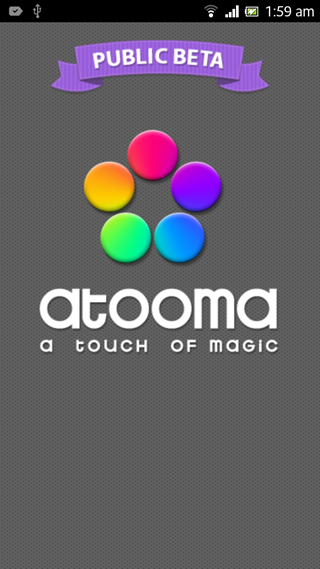 Atooma is a marvel of an app that I’ll be very keen to see develop further. The next release should also bring NFC support, opening an entirely new domain of possible combinations. The best part? It’s complete free! This may change once the app is out of its beta period, but hey, until then, it’s highly recommended to have on your Android device.